Is your company overwhelmed by the tasks it must complete? You might want to consider outsourcing. 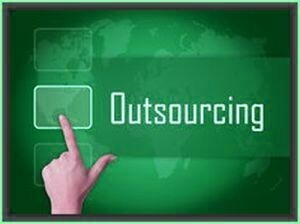 Simply put, outsourcing is when a company assigns certain tasks to a third party. This choice comes with several benefits, the most important ones are outlined below. The most popular reason for opting to outsource is it saves the company a good deal ofexpense. You won’t have to invest resources into hiring experts for your job; the outsource company already has all the right people. Sure, you might have to spend some time searching for the best agency to undertake your project, but this still involves far less effort than actually hiring people. Also, the cost of maintaining a team of specialists in-house can get quite high both in the long and in the short term. By hiring a third party on a project-to-project basis, you reduce your costs significantly. As mentioned before, hiring a team of specialists can get costly very fast. Some companies try to avoid this problem by simply using their current employees. However, this is not a good solution, because those employees might not have the needed skills to work on the project. By outsourcing, you ensure that a team of highly skilled specialists will take care of your project. There’s another problem with using your current employees for certain tasks, and that problem is that you are wasting their potential. This is true both in situations where your current employees are not skilled enough for the job, and in situations where they are too skilled for it. In both cases, you would be far better off doing having them do what they’re best at. This way, you’re ensuring that you’re maximizing their potential. Of course, people are not your company’s only resources that are being used on any given project. If you’re not outsourcing a project, the tools, time, money, and many other factors are being wasted instead of being invested in growing your company. There are plenty of technologies and tools that require you to pay license fees, which can add up quickly. You can opt to use the tools that are free, but this would limit your choices considerably, and it would most probably have a tremendous impact on the finished product. When hiring an outsource company, you set yourself free of such worries. This might sound strange, but it is true for several reasons.Again, as already mentioned, your internal team will be able to do what it knows best, whatever that might be, when you’re outsourcing. In addition, it is likely that you will end up with an outsource agency that is located in a different time-zone than you are, which means that your project will be developing even outside of your company’s business hours. There are many other benefits outsourcing has to offer, and all of them have to do with savings. Whether it is money, resources, or time, you can be confident that your company is much better-off assigning its development projects to a qualified outsource agency.